Find Your Motivation is a campaign designed to increase brand awareness and encourage people to recognise their motivation for weight and act on it. We present real clients of Motivation who have achieved successful weight loss and managed to maintain it. The message is simple, here’s our success stories and why they want to lose weight -now ‘Find Your Motivation’. 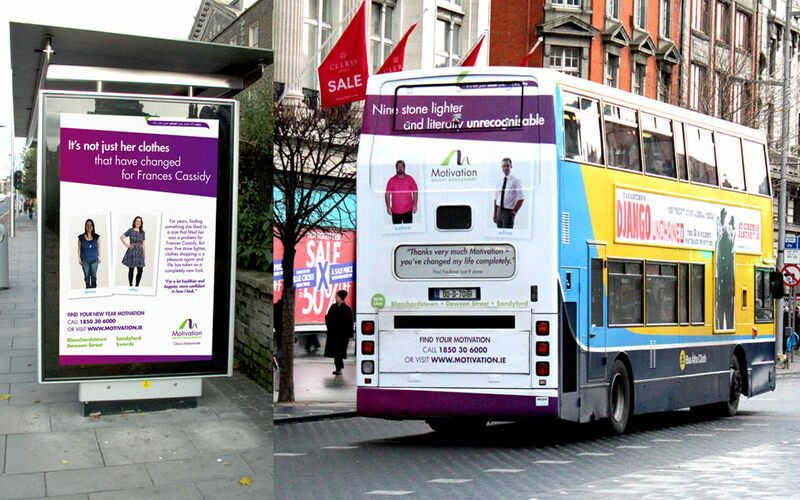 The campaign runs across national/regional press, bus rears, 6 sheets, Luas, TV and digital formats.